All my best “I was so tired” moments have one thing in common: they all took place during the newborn phase of my daughter’s life. The time I tried to open the Facebook app on a stick of deodorant is funny to look back on now, but at the time, all I wanted to know was when I was going to get some blinking sleep! While nothing’s foolproof, here are some of the real-life tested tips that got me (and other moms I know) through the newborn stage. In the very beginning of your baby’s life, sleep shouldn’t be your primary focus (for the baby, at any rate). A lot of babies, mine included, are especially sleepy in the first week or two. 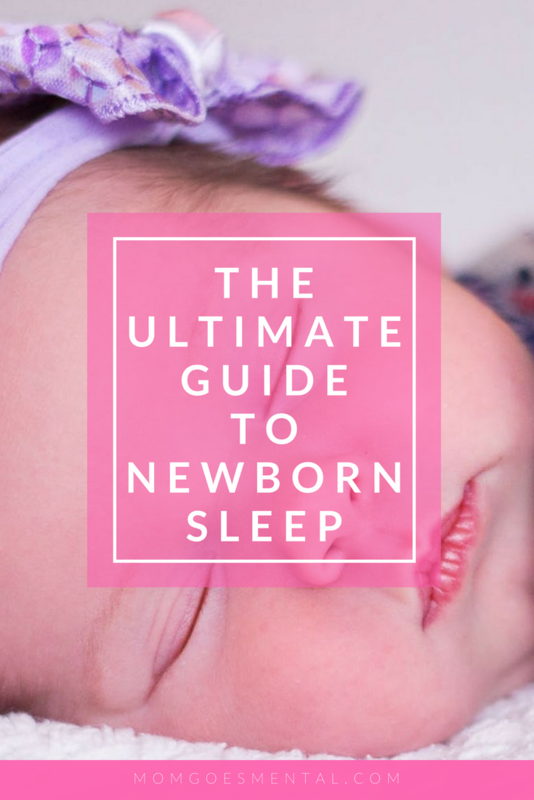 Depending on how your baby is adapting to feedings and gaining weight, you may need to plan strategies to keep a newborn awake long enough to get in a full feeding. Feed your baby on demand, or get help from your pediatrician or lactation consultant setting a feeding schedule as needed. Even if you have a schedule, don’t withhold feedings if your baby gives hunger cues. Stroke your baby’s feet, strip her down to a diaper, or dab her face with a wet wipe if she’s falling asleep mid-feeding. In the daytime, play with your baby during the awake phase, and keep noise and light at the usual levels. At night, go ahead and act like a zombie. Minimizing chit-chat and dimming lights begins to signal to your infant that it’s time for everyone to get back to sleep. You’re probably super bleary and exhausted at this point, but you can start to take steps toward teaching your baby the difference between day and night. Hang in there! Longer stretches of sleep are coming soon. Once your baby regains his birth weight, your pediatrician may say you can stop waking the baby for feedings (if you had to before). It may still be worthwhile to wake the baby during the day, since you want that nice, long stretch to happen at night. Space daytime feedings no more than 3 hours apart. Now is the time to start a bedtime routine. 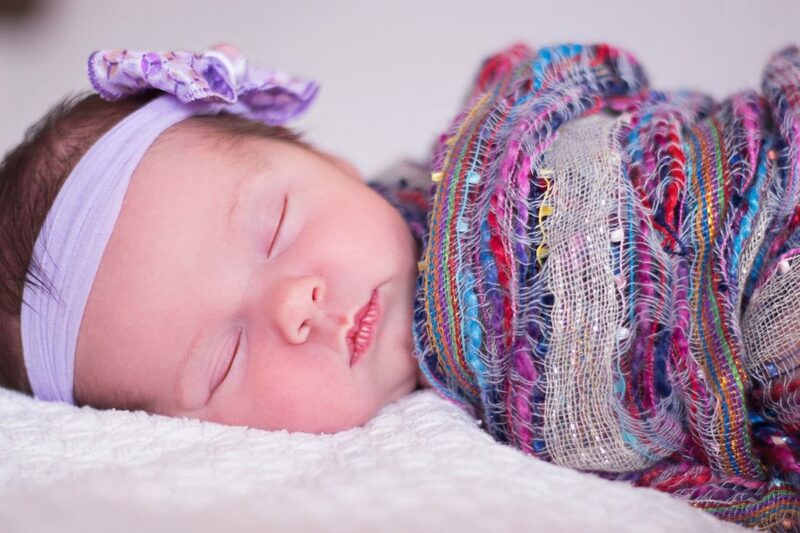 Even something as simple as a five-minute nurse or snuggle and a round of your favorite lullaby works. Your baby may or may not respond right away, but the point is for you to develop the habit. This is also the period during which some experts recommend aiming for the “drowsy, but awake” ideal, where your baby ultimately falls asleep alone in the crib. If you can manage this when possible, awesome. The best tip I heard at this point was to take sleep advice with a grain of salt. Some babies and moms alike love lap naps in the early weeks, and you’re not going to ruin your little one’s sleep associations with a couple extra cuddles. Depending on your work situation, you may be getting ready to return to the office soon. If you’ll still be at home, you’re also probably craving a return to a normal routine. Set a consistent wake-up time. If you have to get up at 7 for work, for example, start with a feeding. Your baby will adapt to wake up at that time. Don’t worry about cluster feedings; they’re normal and healthy. Feed on demand, even if it’s not “time” for a feeding. Add a “dreamfeed” before you go to bed. This is where you pick up a sleeping baby and get them to latch without rousing them more than necessary. Getting a little top-off may help them sleep longer, so you can get a better stretch of sleep, too. Adjust this schedule to fit your family’s needs, and pat yourself on the back. You’ve got this. It really wasn’t that long ago that I had a newborn, but it feels like a lifetime. These are some great tips for getting through the rough no sleep phase. I remember it well. Thank you for such great information. This is so helpful! I wish I had found a schedule like this when my twins were babies. Those first few months were exhausting…Facebook deodorant stick exhausting. This really is a great resource! Loved how well written and informative this was! Wish I had this resource when I had my newborns.